For cat lovers, April 6 is the ‘purrfect’ day. It’s National Siamese Cat Day. This is the day we celebrate these most elegant cats. Siamese cats, also known as “Meezers,” are one of the most popular cat breeds in the world. We love these gorgeous creatures, and we know you do, too. The best way to celebrate? Give your cat an extra cuddle or two today! The day was created by a cat lover named Jace Shoemaker-Galloway. She was hoping to encourage people to adopt these beautiful cats from animal shelters. Unfortunately, over two million animals are euthanized at animal shelters each year. If you have your own fur baby, buy him or her some new treats or a new toy! Don't have a kitty of your own? Buy a treat for neighbor's cat or drop off a care package at a local shelter. What a great excuse to watch cat videos online! Everyone loves watching cute kittens doing crazy things, and today is the perfect excuse to do it. Pull up some old favorites or browse the web and find a new fav! 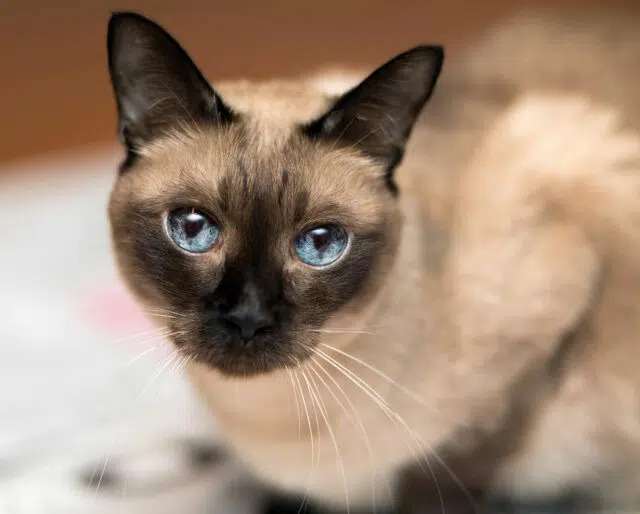 Siamese cats have appeared in films including "The Incredible Journey" and "Lady and the Tramp"
Siamese are a very intelligent breed. They love to talk to their owners and are extremely affectionate, too. Siamese form strong bonds with their owners and love to follow them around. The Siamese cat originated from Thailand. They first came to America during the late 1800s. America's first Siamese cat was given to First Lady Lucy Hayes, as a gift. She was the wife of United States President Rutherford Hayes. They named him Siam and he occupied the White House along with their goat, two dogs and a bird. Siamese cats are known for their blue eyes and their sleek coats. They have “points” on their ears and tails, along with masks on their faces. These features are generally chocolate-colored, blue, lilac, seal, cream, or red (sometimes called ‘flame’).